Great discrepancies can exist in times of barter that are usually dictated by supply and demand, particularly regarding the needs of the buyer and the seller. 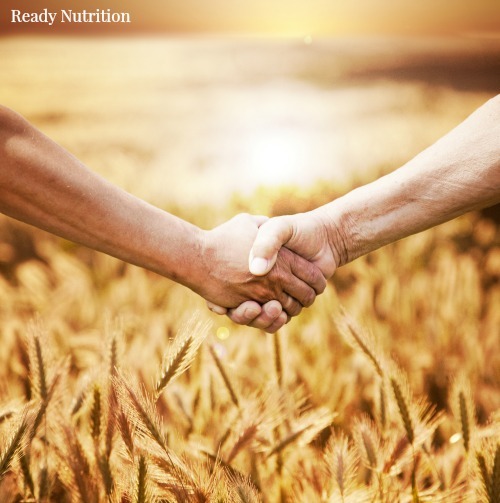 Hello there, Ready Nutrition-land readers! We are going to discuss a few fundamentals (the pro’s and con’s) of bartering after the entire world becomes “defunct,” so to speak. Undoubtedly you have all read or heard something pertaining to the topic and considered the subject in relation to your own preparations. Bartering actually is more than just a skill: it is an art form that must be cultivated, carefully developed, and maintained. Akin to marksmanship, it is a “semi-perishable” skill that should be practiced and continuously refined to maintain peak performance. Barter (simply put) is the ability to exchange a good or service possessed for a good or service desired. Before the advent of money, people purchased things or services with things or services. Money arose for several reasons, the main one of them being the growth of interdependent societies where goods and services could be purchased or sold with something that was assigned a unit of value. Barter differs because there is not a “set” amount to the exchanged items or services: value is assigned to what is exchanged by the purchaser and the seller. Great discrepancies can exist in times of barter that are usually dictated by supply and demand, particularly regarding the needs of the buyer and the seller. So with that, whatcha got? Are you ready to ride your goods-laden horse-drawn wagon into “Bartertown” or will your operation be a little bit more simplified than that? Let’s talk about some things that may be bartered. When trading, you may wish to trade your excess/surplus, and it goes without saying this means to build up your supplies of barterable materials. Some excellent pieces have come from Selco’s writings of his Survival School, and also from Rawles’ Survival Blog providing detailed lists of things to barter and how to go about doing it. Upon Rawles’ site was posted a most excellent piece that I consider to be one of the most comprehensive and well-rounded articles on the subject, closing with the individual and his/her efforts to barter. Lone Wolf: This type of person is a very small minority of the prepper world but they do exist. They are the Lone Wolves with bug out bags at home and in their cars. They plan to “get out of Dodge” and “head for the hills” and become invisible at least until things settle down. For most of us that would be a good way to end up starving or dying of exposure or both. These are not the “wannabe’s” without any other option than to try to make it from a metropolis to a state park someplace. This is the real deal that most likely can survive this way and is not fooling themselves. These guys typically have military experience including survival school; they are proficient with weapons as are their “hunter-gatherer” skills. They are in good physical shape or have the capacity to get that way in short order. They are well versed in caches and probably have more than one already stashed. Ironically they “get” what a group survival retreat is about better than some members of group survival retreats. It’s just that they are not “group” types, they are Lone Wolves. Their plan is to lay low and remain invisible for six months or so. During that initial period, as time allows, they will conduct reconnaissance to find survival group retreats and functioning homesteads. When the time is right they plan to approach the group in a nonthreatening manner and offer their services to the group. It would take some time to build the trust but under the right circumstances, this type of person could do pretty well in a barter world. The reason I wished to cite this is that many preppers and survivalists have either just themselves or only their families to rely on and they are not a part of some large group or community. This stems from the fact that today (pre-collapse) it is not always feasible to form one with ease. The “Lone Wolf” model as outlined is a good basis for starting regarding your own understanding of yourself and family prior to joining up with any groups. “An Agorist Primer,” by Samuel Edward Konkin III, ISBN 978-0-9777649-4-5. “The Coming Dark Age,” by Roberto Vacca, ISBN: 0-385-06340-7. “Government by Emergency,” by Dr. Gary North, American Bureau of Economic Research, Ft. Worth, TX 1971. Bartering can be the result of a societal collapse. When a government becomes totalitarian in nature, bartering is then termed black marketing. This latter term is when goods and services are so heavily taxed and/or regulated that the only avenues to obtain needs in these areas are via channels outside of the “legal” and “authorized” manners under the control of said government. Under the National Defense Preparedness Authorization Act, Obama has created an entire bureaucratic ruling class over every facet of human life and society. Such facets include (but aren’t limited to) farming, manufacture, food storage, and medicine. Although I didn’t list everything here, the list is all-encompassing. In the “event of a National Emergency,” he has granted himself (through his cabinet) the ability to confiscate everything in the U.S., even land…even you! Yes, you too, in the form of pressing you into civilian service in whatever capacity will be deemed appropriate to the national interests. You will have to learn some very important skills in order to barter successfully in either a post-collapse environment or a societal “slip” into totalitarianism. These skills can be listed as such: how to forecast, hustle, and conceal. You need to be able to plan what items you are going to acquire for barter and what items are going to be in high demand when all is said and done. This is where forecasting comes into play. You need to be able to match up goods and services with a buyer (or with you in the case that you are the purchaser). What goods are needed can be determined by shortages of regular supply-lines, geographical location (in many cases such as my home in Montana, climate will dictate many needed essentials), and either durable or perishable nature of items? Next is how to hustle. Much of this is going to stem from your experiences as a child or young adult. Much of this can also be developed if you don’t have the background to give you a base. Do you enjoy shopping at flea markets, open-air bazaars, thrift stores, or yard sales? Are you proficient at it? Do you have an eye that can extract the maximum amount of quality for the minimum amount tendered for purchase? If you answered yes to any or all of these questions, then you have another basis for developing bartering skills. Finally, how to conceal. You must first practice this in regards to a societal collapse. Do you want the whole world (or at least your immediate neighborhood) knowing about what you have for sale? What kinds of lifesaving supplies and materials you have stocked up on prior to the collapse? Also, if the totalitarian dictatorship is the scenario that comes into play, do you have your supplies hidden? Do you have access to them? Can you trade them in an area of relative safety free of busts by the government or thefts by those you intend to barter with? This latter part is very important to understand. Notice how illegal businesses such as dope dealers or arms sellers do not run to the police if they’re robbed or pinched. This is because they are performing illegal activities. Can you see it now? Chances are that guy won’t be going anywhere anytime soon. If the government declares all of your goods and services illegal, the only recourse you have in the event of theft is yourself. Security will be a predominant issue regarding your activities. It will not be an easy task for you to fill. In the next part of the series, we will discuss some simple things to barter and some skills that you can use for exchange. We will also cover ways to open up a “market” for yourself and how to conduct these operations with relative safety and impunity. Until then, have a good day and study up on all that you can find on the subject. Now is the time to prepare so that you are not caught unprepared later when it really counts. The original J. Johnson was accepted by a tribe and allowed to hunt and marry into the tribe. He betrayed them by guiding a hostile force against them. His punishment was to have his family killed, which obviously the tribe considered worse than death. His response was a long series of revenge ambushes. His warrior status was admired. Did his brutality rehabilitate himself in their eyes? It was implied so by the movie. The message for young men was clear: might makes right, e.g., efficient killing corrects or trumps moral lapses. J.J. refused to join a war effort by hiding in Indian territory. Good choice. Then he reversed his anti-war stand and helped troops commit genocide. Why? No indication was given. Could it be the storyteller considered it irrelevant? Or was it an oversight or laziness or a directors cut?